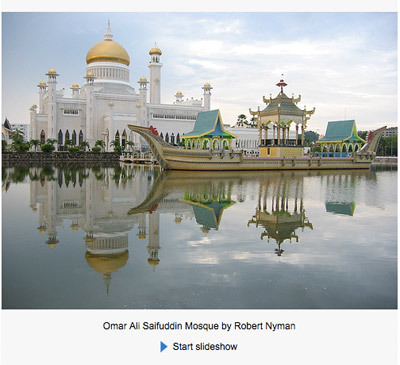 One of the most popular photo sharing web sites on the web is Flickr, and it does indeed have some very nice features. Their set/gallery view, however, is in my humble opinion not optimal, and therefore I’ve set out to improve it with Flickr Gallery Plus! If you’re a heavy Flickr user this extension is definitely worth the download as it will cut your page loads in half. 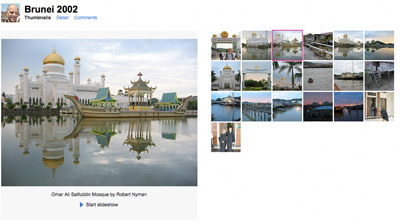 If you’re a Flickr junkie, Flickr Gallery Plus is a great add-on to view Flickr sets. The set overview page looks good, but as soon as you click a thumbnail, you’re taken to that photo’s own page. While that page is very nice, I feel that it immediately loses context and connection with all the other photos in that specific set. The only way to view all pictures, with one large instance and the smaller ones next to it, is the Flash-based slideshow. My idea is to instead bring the one large with thumbnails next to it-concept together with slideshow capabilities directly into the sets’ pages. 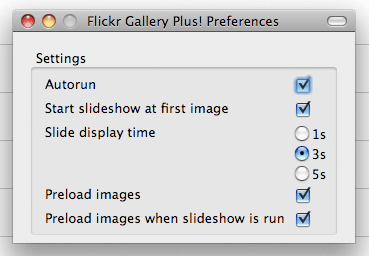 What is Flickr Gallery Plus!? View one large picture with the other thumbnails in the set next to it. Click-selection of whichever picture you want to see larger. Keyboard navigation with left and right arrow keys to go back and forth amongst pictures. View a slideshow of all pictures in the set. If you want to view any picture’s single page, click its thumbnail and then the large picture, and you will be redirected to the corresponding page. Alternatively, press the enter key, and it will take you to the currently selected thumbnail’s page. Please note that the Greasemonkey version doesn’t offer any settings, or web browser integration, such as a statusbar icon. Please read the instructions to make it work with respective web browser. How long time an image in a slide should be displayed. If large images for all thumbnails in a set should be preloaded in the background. Recommended for broadband users for a smoother experience. If regular image preloading is turned off, but it’s desired to be turned on for a smoother slideshow. Download Flickr Gallery Plus! Greasemonkey userscript for Firefox, Safari, Google Chrome and Opera.